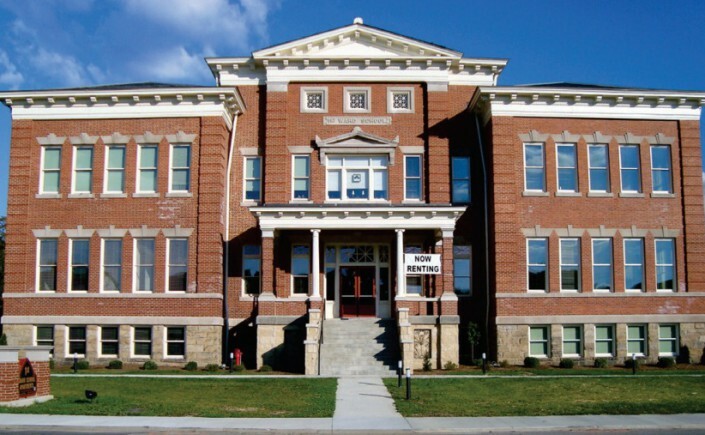 A closed school in Elkins, W.Va., became one of many development projects taken on recently in the Mountain State. A new statewide fund has been established to offset development costs for owners of historic properties in West Virginia. The Preservation Alliance of West Virginia announced on Friday the launch of the fund, which will guarantee up to 20 percent of loans for construction, acquisition, and pre-development. The loan can be used in concert with state-issued development grants and 45-percent combined state and federal tax credits, significantly reducing development costs, says Danielle LaPresta, executive director for the alliance. Established chiefly to aid commercial and endangered historic properties listed on the National Register of Historic Places, the fund is a revolving loan guaranty program in which the alliance will guarantee its loan funds in case a borrow defaults, LaPresta said. “This will, in turn, minimize risk for lending institutions and help candidates who may not have the capital for a regular bank loan, ” she said. With sustainability in mind, the fund is designed to help small borrowers pay back loans to local lending partners, she said. Made possible by regional partnerships and a grant from the 1772 Foundation, the fund focuses primarily on construction costs, but borrowers may also apply for acquisition and pre-development costs as well as a grant funding match, LaPresta said. The alliance is partnering with Woodlands Community Lenders, the Natural Capital Investment Fund, and the New River Gorge Regional Development Authority to pilot the fund and leverage resources for larger revitalization projects in Tucker, Barbour, and Randolph counties in northern West Virginia and Raleigh, Fayette, Summers, and Nicholas counties in the south. Applicants will also receive technical assistance from the alliance, and nonprofit organizations may be eligible for support from the Preserve WV AmeriCorps. Businesses and individuals who are interested in applying may contact LaPresta at 304-345-6005 or info@pawv.org. Learn more at pawv.org.